The North American debut of the exclusive tribute to 90 years of Le Mans happens in California, which will also feature an auction that includes several classic Bentley Le Mans cars. This week marks the opening of the Pebble Beach Concours d'Elegance and Bentley plans to hit the place in style. Which, of course, is what the exclusive carmaker does best. 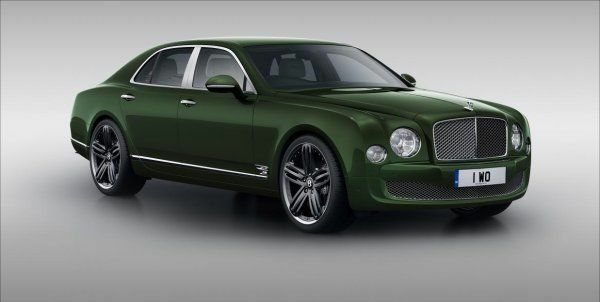 Pebble Beach will showcase the Continental range of Le Mans Limited Edition models, including the North American debut of the new Bentley Le Mans Limited Edition Mulsanne. Bentley has many ties with Le Mans and is celebrating the race's 90th year as well as Bentley's tenth anniversary of their Speed 8 win in 2003, the most recent race in which Bentley was able to take that cup. To add to that, the auctions always associated with Pebble Beach, through Monterey Classic Car Week, will be headlined by a 1931 Bentley 4-1/2 Liter Supercharged Le Mans, one of only three made and one that has been completely restored to factory specification. This car leads an impressive list of Bentley's up for auction at this year's Pebble Beach show, including a rare 1929 Bentley Speed Six Grafton Coupe, a beautiful 1954 Bentley R-Type Continental Fastback, and an iconic 1932 Bentley 8-Litre Saloon, among others. Also on display on the Bentley green at Pebble Beach will be the iconic Bentley Blower that has been making the rounds lately as the company's latest vintage show car as well as the 2003 Le Mans wining Speed 8 and its driver, Guy Smith. On display will also be the new Flying Spur and the wonderfully impressive Continental GT Speed, the fastest production model Bentley has ever produced. An exclusive gathering at the Quail Lodge and Golf Club will showcase these cars with autographs from Smith. Bentley will also present their plans for re-entering competitive racing in 2014, focused on the Continental GT. The “One-Off” Car: The 1960 Bentley S2 Wendler Shooting Brake: A Bentley Rolls Royce Mercedes Buick Estate Wagon. Will There Ever Be a True Electric Bentley?